The 100th day of school is a big day for all students (and teachers) who have been counting down, I mean up. 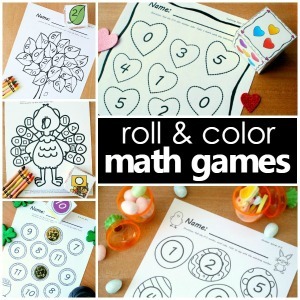 🙂 There are so many fun things that you can do to show what 100 looks like with little learners. This is a list of 100th Day of School books that would be great to read leading up to and on the 100th day of school. 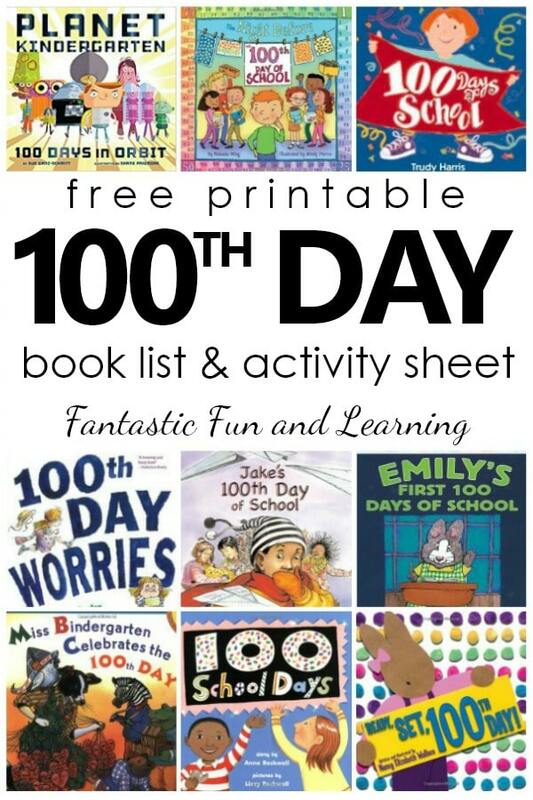 To save you some time I’ve also added a free printable 100th Day of Schools Books list and a quick writing activity that you can do with kids on the 100th Day. 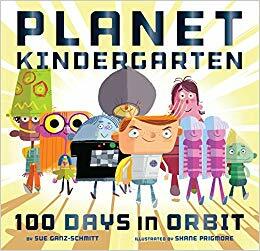 Planet Kindergarten: 100 Days in Orbit is a fun space themed book that is part of the Planet Kindergarten series. It has a bit of a comic book feel to it that kids love. Throughout the book the kindernauts reflect on all the adventures they’ve taken and skills they’ve mastered on their mission so far during the first 100 days of school. In Read, Set, 100th Day! Minna is thinking about the perfect way to show 100 items. Throughout the book she counts by 5’s, 10’s, 20’s, 25, and 50 with different items until she finds the perfect set. The book would be great to read and stop at each set so you can count along with Minna. 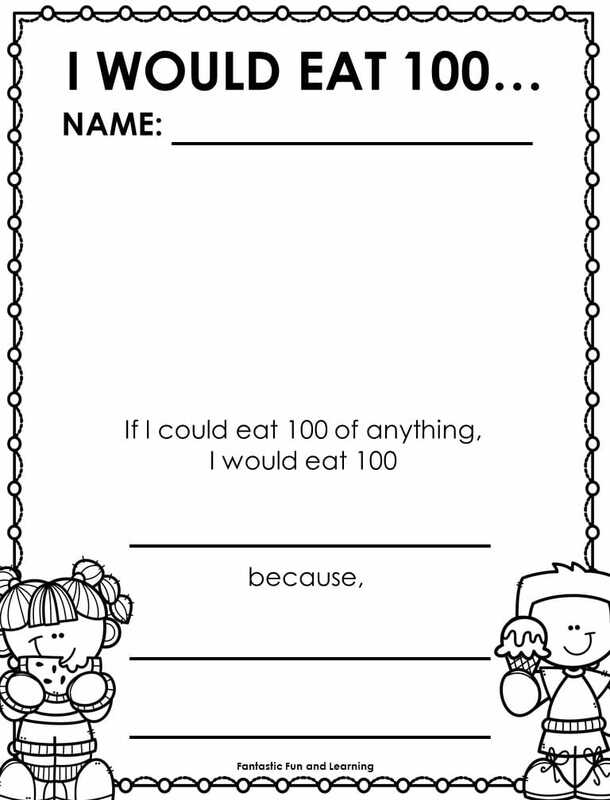 100 Days of School asks readers to add and count by asking, “What do you get?” Readers can see all the different ways you can add to make 100 in unexpected ways. In 100th Day Worries, Jessica cannot figure out what to take to school. As the day grows closer, she becomes more worried until the big day arrives and her family works together to help her. As her family collects items, readers can stop and add the items together to see how many Jessica has all together. Emily’s First 100 Days of School is 100 days of counting fun as readers learn about all the things that Emily and her class have done. There are interesting true facts found in a few of the days, such as on day 50 when Emily says she salutes the American flag that has 50 stars. This is a longer read but would be a great book to read the week leading up to the 100th day of school. On The Night Before the 100th Day of School a little boy searches for 100 items he can take to school. This book gives examples of all the ways you can show 100 with small items. 100 School Days follows a class as they count to the 100th day of school. Each time they reach a ten someone brings in a special item; 10 balloons, 50 shells, etc. This is a great book for counting to 100 by tens and encouraging students to bring in items for the 100th day. Miss Bindergarten Celebrates the 100th Day of Kindergarten is another great book that kindergarteners will enjoy. Miss Bindergarten and her students are all making plans to make the 100th day extra special with 100 treats. The 100th Day of School is a fun book about students who are celebrating just like you might be in your classroom. The book shows different ways to celebrate the 100th day of school and is written in rhyme which is always fun. In 100 Days of Cool four friends come up with a daily surprise to count they days to 100. Along the way they come up with a “cool” service project, costumes, pranks and more. This book will get kids’ creative ideas flowing as they think about celebrating the 100th day in their own classrooms. On Jake’s 100th Day of School he is so excited to share his collection of 100 pictures he has created, until he forgets it at home. Jake’s sweet principal helps Jake out so that he will have a collect to present in class. This is a sweet story that readers will enjoy on the 100th day of school. 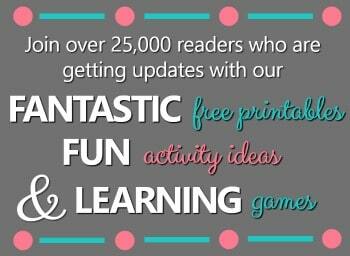 Click the pink button below to get a free printable copy of the titles referenced in this book list and the 100th Day Writing Sheet. 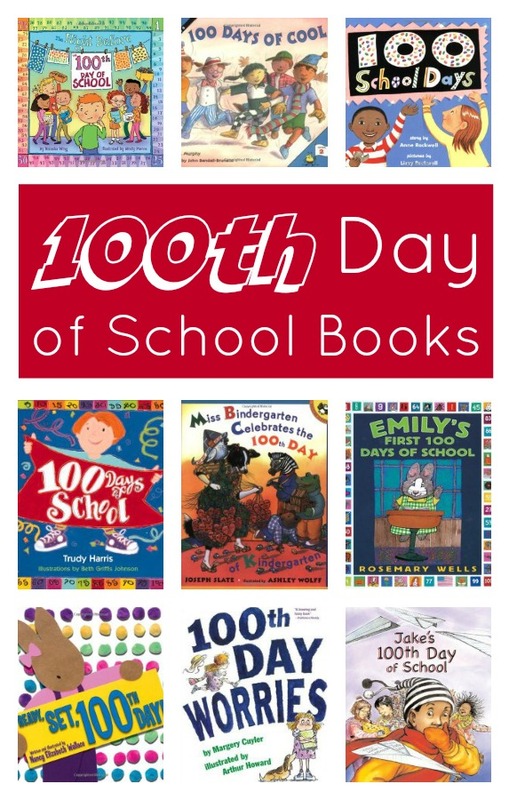 Use the 100th Day of School books list as you gather your books, and use the writing activity with preschoolers and kindergarteners after you’ve read some of the book suggestions. Send the pages home or combine them to make a fun class book to add to the library center. What is one way you celebrate the 100th Day of School? ?